Enter Becca's Movie Deal Giveaway and try to win your own set of these movies! Sign up for the e-newsletter from The New Idea and get a FREE Veggie Tales DVD. Choose from Larry Boy and the Fib from Outer Space, Where's God When I'm S-scared? or The Ballad of Little Joe. Just pay $2.99 shipping. Thank you to Keeping the Kingdom First for sharing this deal. 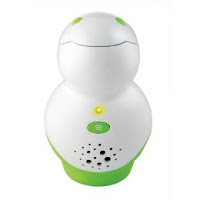 I am a fan of Leapfrog products and I was excited to find the Leapfrog TAG Junior finally released and on sale at Target. 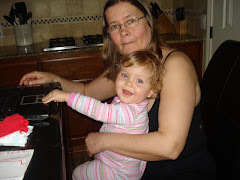 My granddaughter Kasja is the perfect age for it. Combine the Target Sale with these coupons and get the latest Leapfrog Product for younger children. Then Becca posts a new movie she offers her readers a chance to win a set of Disney Princess Protection Program and The Jonas Brothers-The Concert Experience DVDs for their Family Movie Collection. To Win: Leave a comment telling her which is your all time favorite Disney movie. 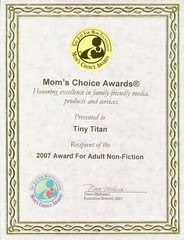 Contest will be drawn Saturday July 4, 2009 at 12:00 noon central time. 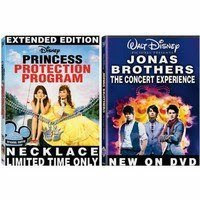 Becca's Best Movie Deal--Disney Princess Protection and Jonas Brothers--The Concert Experience for $15.99 each. Target is offering a $10.00 Gift Card for these Disney Tweeners New Release DVD's this week beginnning Tuesday. 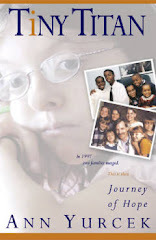 Don't forget to stop by Becca's Movie Giveaway post and enter to win your own set. ** Don't forget to head over to Disney Movie Rewards to enter your points toward Disney gear and movie tickets. Buy Harry Potter and the Half Blood Prince $19.99 on sale this week. Kmart Double Coupon event. 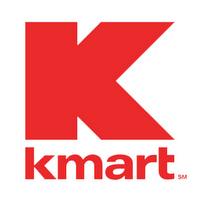 This event is for select participating Kmart locations from 07-05-09 to 07-11-09. Milwaukee, WI is not participating in this event. Participating stores only. Amount of credit from doubling a coupon cannot exceed the current retail price of a single item. No cash or in-store purchase credit will be awarded for any amount exceeding the retail price of the item. Limit 1 coupon for each item purchased. Only 1 coupon will be doubled per item. You may only purchase 4 of the same item using double coupons. Excludes Buy One, Get One offers, Kmart Savings coupons and Kmart Store coupons. Coupons do not apply to sales tax. Limit 10 coupons per customer per day. Offer excludes products prohibited by law, including but not limited to alcohol, tobacco, and prescription medication. Not valid on non-merchandise, federal or state regulated items, prior purchases, Lands? End, Sears merchandise rung on Sears registers within Kmart and kmart.com. In the event of a return, coupon savings may be deducted from the refund. Exclusions apply. Please see store associate for details. My girls are outfitted mostly with Aeropostle clothing because of their amazing sales and it fits well and is a great value for the money. We are sold on their 00 or 0 shorts or short length jeans which fit Miss Becca better than girls clothing and more age appropriate. New Bare Minerals Matte Foundation--Try it FREE! Limit one sample per person, while supplies last. If they’re out of the sample, they’ll give you a free custom sample of anything you’d like. Sunday 6/28 Coupon Preview . Shop Kohls on line Friday and Saturday and save an extra 20% off their Lowest Sale of the Year Prices. USE CODE TWENTY4U. Added Bonus you will receive a Kohls Cash Certificate for $10 off every $50 you spend, and shipping is FREE when you spend $75. With all three combined creates some frugal prices. I made this Hooded Towel for my Granddaughter Kasja while I was in Texas and thought I would share how you can make your own. I had found two Ribbon Embellished bath towels on clearance at Shopko for $2.98 each. (Regular $24.99 each). Cost of my project: $5.96. This is an easy beginner project. 1. Purchase 2 full size bath towels or l bath towel and one hand towel. The second towel will be used to make the hood. 2. Cut a 14 inch piece across the end of the full size bath towel or lengthwise on the edge of the hand towel cut the hood piece. By doing this, the hemmed edge of the towel becomes the front hem on the hood. 3. Fold the l4 inch rectangular strip in half, rightside together. 4. Stitch down the unfinished edge from fold to bottom edge using a 1/2 inch seam allowance. Stitch again next to the line of stitching using a zig-zag or use an overcast stitch in the seam allowance to prevent raveling. 5. Flip the hood piece rightside out. 6. Cut off the bottom 1 inch on the bottom edge of the hood. Otherwise the hood will become too bulky in the seam allowance. 7. Use a tape measure and measure the child's head add 1inch. Use a compass or find a circular object to make a pattern the correct size. I used a cereal bowl and traced it onto paper to make the pattern. 8. Find the center of the bath towel by folding it in half lengthwise and pin the shoulders and then in half cross wise to find the center front and back and pin. 9. Fold the pattern in half and then in half again, mark the shoulder marks and front and back. Match up the pins and cut out the neck hole. 10. Fold the towel to find the center front and center back in the neck opening. 11. Then match front and back pins to find find the quarter of the neck opening. Place pins on each right and left sides. 12. Place hood piece in neck opening, match back seam to back pin, and place each side of front hood to the left and right of the center front pin. 13. Stitch hood to neck opening using 1/2 inch seam allowances. You may have to ease the hood into the opening to get it to fit. My opening was a little larger than the hood piece so I placed the towel side down toward the feed on the machine which helped it ease in. 14. After stitching the seam, set the machine to a zig zag stitch or an overcast stitch and stitch in the seam allowance to prevent raveling. 15. Clip Threads and you have a inexpensive hooded towel ready for swimming or bathtime. The project can be modified to a larger size by using beach towels and a larger hood piece. I bought the towels to make the hooded towel long before Kristy and Chris bought their new house with the pool and had no idea that Kristy had painted the girls bathroom a pale yellow with a floral theme. A perfect match. Here is a chance to get high value Tide coupons by mail. 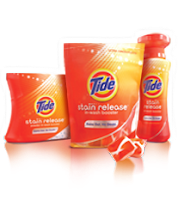 Get a $1.50 coupon to try the new in-wash booster from Tide. While at the Tide Site, Sign up and Receive a FREE SAMPLE of Tide Total Care. Get a $1 coupon to try Tide To Go. 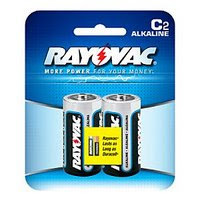 Use the $1.00 off any Rayovac Coupons from 6/21 Smart Source and pick up FREE batteries from the dollar spot at Target. These are two-packs and pay only the sales tax after the coupon. Don't forget to submit your Disney Movie Purchase with the 2 packs of Rayovac Batteries for the Disney/Rayovac $5.00Movie Rebate good through 6/30. Must be postmarked by 7/15/09. Target has the Bare by Solo on sale for $1.50. Use these coupons to get inexpensive picnic supplies just in time for a Fourth of July Picnic. Use either of these printable coupons: $1.00 coupon or $.75 coupon. Final Cost: $.50 or $.75 each. The Glidden National Paint Giveaway kicks off on Thursday June 25th. 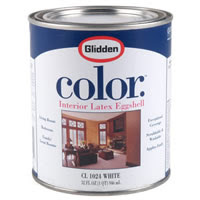 Pick your favorite paint color and Glidden will send you a FREE Quart of Paint. Get the order form and complete details on the Glidden web site. Thanks, Frugal, Freebies & Deals and Coupon Cravings for posting this deal. I was looking into buying Miss Becca a new booster. She wanted to know the rules and I found this resource. 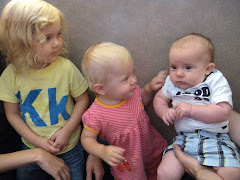 Car Seat Rules and Regulations and Ticket Amounts. Oregon requires that any child under 4 ft 9 be in a car restraint with a pricey $90 fine. I found out the Minnesota Rules Change 7/1/09 that raises it from age 6 to all children 7 years and younger and less than 57 inches. While researching I talked with my friend who visits Minnesota often and now has to replace her seats that she had given away last year in order to not get the $50 fine. Dr. Dad and Becca's doctors have been the car seat police even with the rules being age most places because it is just not safe for her medical reasons and short stature. Sign up here for 24 complimentary issues of Parents Magazine. Enjoy the 2 years of Parents free. No strings attached. You'll never receive a bill. 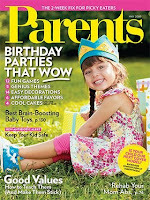 Follow this link http://www.valuemags.com/freeoffer/Parents-BBS.asp to find out how to get your complimentary two year Parents magazine subscription. Pay $58.65 and get FREE Shipping. (I ordered mine this morning at 9:00 and it is already shipped and on its way). Albee Baby also has the Recaro 2007 Convertible Car Seat which fits infants from 5 lbs. to kids 70 lbs. for $119.99 in the matching blush. Now with our Cross country road trip coming in September for Marissa's Wedding, we needed a better more comfortable booster for Miss Becca. She is only 74 pounds (recommendations are for 80 lbs in most states before getting out of a booster). She is not tall enough at 4 ft. 7 inches to get out either, she has to be 4 ft. 9 inches in Wisconsin. Being in a booster seat at 19 has not been an easy thing to get used to, but she now understands...safety is first and with her complex bleeding problems and low muscle tone she needs protection from impact and from the seat belts in an accident. I checked the varying state rules for the upcoming trip, and realize that each state has different regulations on when they get out of the booster and because Wisconsin has tougher laws than others we will not face a ticket on the trip. What are the rules in your state on when a child gets out of their booster? Information about this Car Seat--From Mfg. 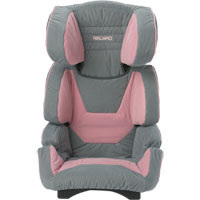 The Recaro Vivo Booster Car Seat is one of the top lightweight restraint systems for children. The Recaro car seat comes in four different color options, perfect for any child, boy or girl. The Recaro seat does not require a harness of any sort and uses an innovative belt positioning system to keep the child safe and secure. Parents will love the safety and fashion found in just about every model of Recaro car seat. The booster seat from Recaro has loads of features which will make the parents life much more comfortable and since the booster seat age limit has shot up, will make a growing boy or girl comfortable too. The Vivo is a Recaro seat which is designed for children to about 12 years. The booster car seat is also designed for children 30-100 lbs. and 37-59 in. tall. The Recaro seat makes getting comfortable easy as the headrest adjusts to 6 different positions and the seat reclines to 3 distinct positions. The Recaro car seat is made of new, extremely durable microfiber. It is an ergnomically designed booster car seat which is Recaro approved. * For children 30-100 lbs. * Recaro car seat is for children up to 37-59 in. 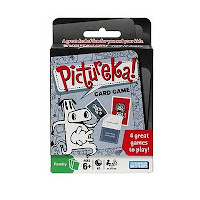 From Hip2Save I added to my Target Shopping list the Card Game Pictureka for $1.64 to add to our family game night. The Pictureka Game is found on the end cap of games in the toy section (it is on markdown for $6.64). I can print 2--coupons, one for us and one for as a surprise for my friend Vickie and her 5 kids. With this nearly 100 degree heat, today was the day to stay in and not go anywhere. Energy Saving: I didn't use any gas I stayed home. My errands will be done another day and I will combine them with a trip out to round with Doc. The air conditioner was on set at green 78 degrees. Late afternoon we had my friend Vickie and the kids over for an evening "cool off" swim and wear out the kids before bed. No need for a pool heater the pool was a warm 86 degrees from all the heat. The towels were hung out on the clothes line to be reused next time instead of washing them right away. A breeze had come up after our swim and we shut the AC off. Family Time: Swimming with the girls and while Doc and Becca did Drivers Ed homework, Detamara and I learned to play SkipBo. No TV tonight :) We had a great time and will be starting playing a game each evening for an hour before bed. Monday June 22 Spending: $8.50 for produce bought on the Square. 2--$1 heads of cauliflower, 6--Zucchini $.75 each, 2 Cabbage $1 each and 6 mini cucumbers $.35 each. The garden produce is now available and I can't wait until next Friday and I will head to the Amish Produce Auctions and buy it myself. Many of the vendors at the Farmers Markets around here buy and resell it from the Amish. Once the freezer is fixed the girls and I will be freezing veggies to replace our stock. What do you do with the empty Huggies Wipes Container? Repurpose it. I just refilled mine with by FREE Arm and Hammer Essentials from Kmart Doubles. I have been using them for this purpose for over a twenty years. I use one to keep my fabric softener dryer sheets neat and organized. It will hold 2--100 count or 3--80 count packages or 250 sheets. Just open the lid and pull a sheet out. The plastic keeps the scent fresh and neatly organized. Saving money hint: Use 1/2 a sheet instead of a whole sheet. It works just as well, and reuse the sheet on the next dryer load and add a fresh half. 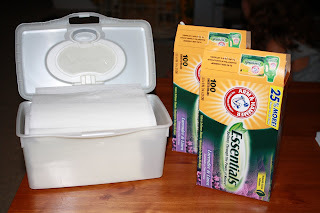 What do you do to repurpose your Baby Wipes Containers? Leave a comment and lets see how many ways we can use the plastic containers. Today's Spending: $5.25 for 2 Sunday Newspapers and $19.89 Coupon Clippers (four weeks of ones I wanted). Instead of buying four newspapers like I normally do, ($13.00+) I bought 2 ($5.25) and am ordering the coupons I need every three or four weeks through The Coupon Clippers. Savings per month by using the coupon clipping service. $12.00 Coupon/Newspaper Budget: $42 a month. $5.25 a week newspapers, $20.00 a month coupon clipping service. I ordered coupons twice before and I like the service. With having my own "mini superstore" stocked with double coupons and don't need as many. This way I get the coupons on what I normally use. I am also saving trees by buying unread newspapers. We always buy the Chicago Tribune and I also read the Milwaukee Journal for Wisconsin news. I ordered from coupon clippers a bunch of differing coupons including 10- $1.00 off Kraft Dressing Coupons, 12 Dawn Essentials $1.50 coupons and Becca's current daily obsession the Premade Minute Rice 2-pack packages $1.00/2 the coupons are good until Sept. (we go through a pack a day for her snacks). I ordered 50...yes 50. I know that I could make it myself for much less, but she likes to be independent, and as Doc says it limits how much she is making at a sitting and waste. After coupon they are around $1 each. Becca with her autism is obsessive and with her Noonan syndrome causes her to eat the same things over and over again. I am stocking up on the coupons as I will buy it anyway. One of the disadvantages of our family's shopping stockpiling is that we eat many frozen vegetables, juices, meats because of our gluten-free diet. We bought a new freezer two years ago and have a second used one in the garage. Today disaster struck, our Newer Freezer...the one we put the meat and veggies in went out. Everything is thawed. We just lost about 1/4 of a cow, and everything else. Tuesday is garbage day and it will all leave with the trash. We probably lost over $800 to $1000 worth of frozen groceries. The only good thing I can think of is that once we get it fixed, I will have plenty of freezer room to freeze the vegetables this summer. I had a 4 coupons for $1 Blue Bunny Ice Cream Bars---the coupon from a couple of weeks ago did not specify whether it was a box or a single bar. I finally remembered to bring them with and the head cashier let them through without a challenge. It was right before dinner and didn't let the girls eat them right away.... Mistake!!! They melted on the way home. Not wanting to waste my FREE Ice Cream Sandwiches. I will be using the mushed up now refrozen sandwiches in Homemade Dairy Queen Blizzards with my Breyers Ice Cream from Target. Lesson Learned: Bring the cooler for Ice Cream in the heat. According to Becca I had to post a picture of her Dad in purple his favorite color enjoying a well deserved weekend of relaxation holding Becca's service dog Morgan. I am not sure whose dog she actually is... Becca's or Docs? Shay, Deangelo, Delonzo and the furry family, Morgan, Milo, Bailey, Holly, Jose, Trouble and Pip. Today we ran out and did my grocery shopping for two weeks (including heavy stockpile building as I found some incredible savings) and filled up the gas tank. I place $250 in our Household Checking Account when we get paid (2 weeks) for our expenses in order to help me limit my temptation to go over budget. Grocery Budget: $50.00 including kitchen and cleaning supplies (other than my Walgreens $10 weekly challenge, milk, bread and bananas are included in the gas portion of our budget as we pick it up at the gas station). Target: $39.81 Savings $180.96 using coupons and offers (Between last Target trip 6 and this trip 6 I have bought a years worth of Dawn Dishwashing Detergent 12 @ $2.49 less $1.50 mfg. coupon = $11.88!!! ), 4 months of Hefty Trash Bags: 6 Hefty Trash Bags 40 ct. Kitchen, 32 ct. 30 Gal. @ $5.99 less $2.00 mfg. coupons less $1.00 Target Coupons= $2.99 each, 9 boxes of cereal, 3 simply orange juice, 12 Oscar Mayer Hot Dogs, 12 Ziplock Bags, Ketchup, Shortening, 4 Lean Pockets, 3 Huggies, 2 Oscar Mayer Lunch Meat, 2 Cheese, Smart Popcorn, 4 Bliss Bags, 4 Kraft Mac and Cheese, 6 Candles, Cascade Rinse Agent, 5 Pop Tarts, Milk, Peanut Butter, Jelly,mustard, 2 Lays Chips, Bread, Dog Treats, 4 Suave Deodorant, 1 Degree Deo., 4 Sample Sunscreen, Scott Tissue, and 2 Leapfrog TAG books for $3.48 for Kasja plus a lot more. I was rolling my Gift Cards along with coupons to save so much. Walmart: $59.43 Savings $47.69 using coupons and price matching--I needed several things that there are not coupons for...produce, lactaid milk, eggs, hamburger. Total: $99.24 (under budget by $.76). Walgreens $10 Weekly Challenge: $9.99 Savings $65.66. Used my budget a day early to take advantage of my coupons and rolling. Energy Saving: Didn't turn on Air Conditioner until we got home midafternoon on the back porch. We are not using the main air for the house, cooling only the hot side of the house to conserve. Topped off the Sequoia Tank while in Dubuque, gas in Iowa ($2.55)is less than in Wisconsin ($2.78) Saving $.23 per Gallon. (8 gal. @ $.23). Gas Spending : $22.00 including 3 sodas (skipped lunch and came home and ate). I have a full tank in my Sequoia and that should give me enough gas for almost two weeks. Entertainment: Monthly we budget for One family movie to support our local vintage movie theater. $23.00 with popcorn ($5 a ticket) to See "Night at the Museum 2". Walgreens has begun to mark down some of their summer toys along with 75% on some coloring books. The most of the sandbox toys were 50% off. Little Pony, Hello Kitty, Suzie Cute, Peanuts. The coloring books make great filler purchase items to use Register Rewards when rolling coupons. We had to fill Becca's prescription and I couldn't resist using my $5 RR that needed using. I found 2--St. Ives Coupons and we were off. I had my $10 bill from my spending money I hadn't touched this week and a coin purse of change. I was not impressed by tomorrows Walgreens ad and spent my $10.00 Walgreens Challenge Budget a day early. Here is another FREE Fisher Price DVD, this time for Precious Places for the princesses in your life. Hurry this will not last long. Delivery in 12-14 weeks. 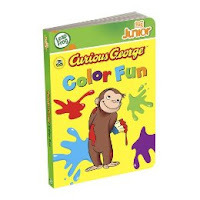 I love the quality of Melissa and Doug Toys (the prices are 10 to 20% off) and here is a chance to save $10 off any order of $59 or more. There are several of the Melissa and Doug Toys on clearance. Use Coupon Code 10off59 during checkout. Shipping is $5.95 for the entire order or FREE Shipping for orders over $67. Expires 6-23 Midnight ET. Yesterday I did really well at not heading out to spend anything. Until I found a deal that I had been waiting for. Spending: Received $15.00 refund from overpaying a bill. and Free Photobook (added pages) Including 8.90 shipping. This Nana has been waiting for a great deal to get new pictures and Nana Brag Book. Redbox Code for 6-22 and 6-23 FREE Movie (filling out a survey). Washed the patio windows with my FREE windex and FREE Marcal paper towels from Kmart doubles. Energy Saving: I turned on Airconditioner :( It was too humid and Becca and I couldn't breathe with our asthma. I took advantage of having it on and baked Gluten-free Banana Bread instead of buying prebaked goods. (Saved $15.00 by baking my own). Ran the dishwasher Once with free dishwasher soap. Hung sheets and comforter on the clothesline. Dinner: One pot chicken from my freezer with spanish rice from my overstock of rice. Baked the chicken while baking Banana Bread...Two for one already had oven on. Want a FREE movie for 6-22 or 6-23? 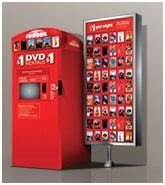 Fill out this short survey about Redbox and it will give you a movie code good for those days only. With my posting on our resolution on returning to my thrifty roots and our financial debt reduction, I have to post each day as a way to hold myself accountable and will post what I have done to save money. Spending: $28.34 Gas for Docs Car (he is driving his paid off 2000 Grand Am instead of the Sequoia to save money on gasoline). Dinner: Both Regular Pizza and Gluten-Free Pizza's out of the freezer with salads. Saving Energy: Even though it was 82 and humid, we have not turned on the air conditioner. Instead we opened the windows and and the north side of the house we closed up the family room to keep it cool. Ran the dishwasher completely full once....with my stockpiled dishwater detergent. Went for a swim after dinner to cool off. Saving Money: Called our cable company, upgraded our service and got all the movie channels for the summer for FREE for three months while the teens are home from school. Value $59.99 per month for FREE. Wrote on calender to call on 9/15 to cancel the extra service. I watched Nanny and the Professor while Doc watched some World War Two documentary on Hulu while the girls watched Discovery Kids on our new upgraded for FREE trial dish service. Double Heaven--Double Coupons Pamida and Kmart?